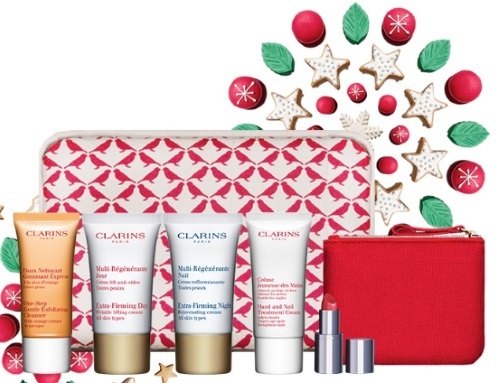 Clarins has an Ultimate Beauty Gift Deal for Cyber Monday! Get a 7 piece Cyber Monday gift plus 3 samples of your choice with any $75 order (a $100 value). Complimentary shipping is included too. Offer is valid November 28-December 4 2016. Enter the promo code CYBERM16 at checkout. Click here to browse Clarins.